As our children grow, so does theirs curiosity with the world around them. Everyday household objects could become a potential danger to infants. Silent Gliss puts safety first and has developed products that can reduce the risk of accidents. Their products not only enhance the look of any interior, they are designed with safety in mind. When is Child Safety required? The blind/curtain track contains cords, chains or tapes that could form a hazardous loop, this could be the operating cord or chain or the cords which form the inner structure of the blind. The product is intended to be installed in premises where children 0-42 months are likely to have access or be present (all domestic applications). 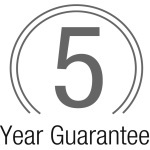 If the product has a hazardous loop and will be installed where children are likely to be present then child safety compliance is necessary. The product will have to be fitted with either an integral or non-integral safety device, the length of operating chains will be controlled and labelling will be mandatory. 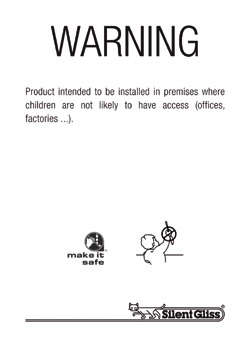 A product with a hazardous loop but is not intended to be installed where children are present can be produced and installed without compliance to the legislation. Any order for a “non-compliant” product will need to be supported by a Silent Gliss Risk Assessment completed by the person responsible for the building. If approved, the products shall be accompanied with the notice on the right. This “non-compliant” leaflet will be included in the packaging with the product. What types of safety devices are available from Silent Gliss? 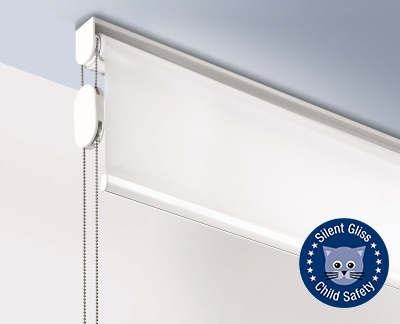 There are a number of options available to make a Silent Gliss products safe. A breakaway system is some form of device which causes the hazardous loop to break under an applied weight of 6kg. 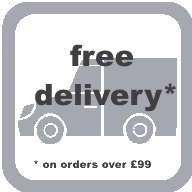 This device is an optional extra and needs to be specified at the time of ordering. To ensure compliance with the new legislation it is now critical to know the fitting height in order to calculate the cord or chain drop. Where the fitting height is ‘not known’ the legislation gives clear direction as to what drop is allowed. Do not put sofas, chairs, beds or play pens near to window blinds as children love to climb.